October 1960 and an East German charmer, Andreas, has started an affair with Katya Alekseev, wife of the head of the KGB in Berlin. Sensing a way to make money, Andreas steals a personal letter, one that contains an important secret that will shift the balance of power in the nuclear arms race. He offers a copy of the letter to Will Catesby, Britain’s leading spy in Berlin. Catesby is a working class agent inside an upper class agency that seems to be playing as many mind and dirty games with their American allies as Eastern bloc opponents. Given American bravado and Russian nervousness, Britain fears it could be obliterated in a lethal game of nuclear chicken. What is certain is that the letter Catesby now possesses cannot be allowed to fall into American hands, especially those of a hawkish disposition. Two years later he is stationed in Cuba and Britain’s fears of the cold war becoming hot are perilously close to being realised. With the change in the political landscape, Catesby’s role has shifted from spy to back-channel negotiator. However, not everyone trusts him, especially given his history and the company he keeps, and some positively want him dead; an outcome that might well lead to Armageddon. 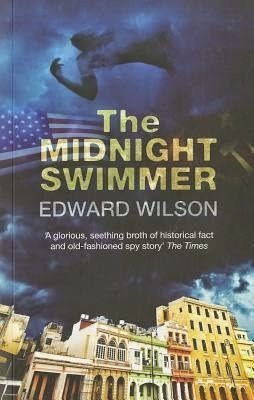 In The Midnight Swimmer Edward Wilson re-imagines the Cuban missile crisis. Whilst many of the characters, incidents and political stakes are real, Wilson places his working class spy, Will Catesby, into the heart of the tale. Catesby is an experienced operative with a tarnished history, and the British are still not trusted by their American counterparts given the fallout of the Cambridge ring. What unfolds is a dangerous and complex game between British, American, French, West and East German, and Russian agencies and operatives, some of whom are trying to follow the party line, others pursuing their own agendas. Even within the same country, different factions are vying to influence the paths taken. Catesby is a pawn in this landscape, never quite certain of the game being played. And neither is the reader until the latter part of the book. What that means is the first half of the tale is a little oblique and stuttering, but as it continues it becomes surer and more compelling as pieces start to drop into place. As with the first two books in the Catesby series, the narrative is layered, the characters are complex and nicely drawn, the plot has plenty of intrigue and understated encounters and action, and the historicisation is excellent with careful attention to detail. Wilson’s spy novels are intricate affairs consisting of a swirling mix of greys and shifting allegiances and unexpected collaborations, rather than black and whites and sharply drawn lines. The result is a thoughtful, engaging and entertaining spy tale. This sounds great and I have never heard of this author or the series. I am always thrilled to hear about a new spy series (to me). 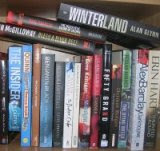 The problem is no space or time for new books. Great review, Rob.